I’m not sure if there are any Quakers in the ranks of the DUP or the UUP. Or the Alliance Party or the SDLP, for that matter. Yes, Virginia, they are a wide span of people to have lumped together. But let me explain. Let’s leave aside the fact that Mr Poots’ words might have indeed recommended him to a part of the electorate. Let’s instead concentrate on the bit Kyle slipped in about feeling that way in private. So his quarrel with the DUP people like Edwin is not how they feel about nationalists in general and republicans in particular. It’s about saying it out loud. Kyle’s words could, I suspect, be equally addressed to the UUP, a goodish number of Alliance Party people and to a surprising (OK, not surprising) number of people in the SDLP as well. It’s easy to see why so many hold this view: they’ve bought into the narrative that the Troubles were essentially the fault of the IRA, so naturally nose-holding is now called for. Republicans, they would say, chose violence, whereas they – DUP, UUP, Alliance, SDLP – didn’t. But remember my Quaker question? I raise that because Quakers are opposed to violence, full stop. No ifs, buts or it-dependses. They don’t do violence. Whereas if you check with DUP politicians, UUP politicians, Alliance Party politicians, SDLP politicians – and of course TUV politicians (almost forgot you there, Jim) – you will find that while they are repulsed by republican violence, they have markedly different feelings towards other killings. For example, they are not repulsed nor do they feel the need to clutch their schnozzle when it comes to those who died fighting at the Somme. In fact they hold annual ceremonies to venerate and commemorate the courage of these men. Even the SDLP, which prides itself on its non-violent stance, would find little difficulty in applauding the courage of those involved in the Easter Rising and subsequent events. Far from holding their noses, just watch next year how the SDLP hail the courage of the violent men and women of 1916. This admiration of violence in carefully selected instances is to be found everywhere, if you look around. When we were at school, we had to memorise chunks of Alfred Lord Tennyson’s poem ‘The Charge of the Light Brigade’. There was no hint, even in an Irish classroom, that these violent men who met their violent end in the Valley of Death should be other than admired: “Honour the charge they made/Honour the Light Brigade/Noble six hundred.” Likewise the violent actions of the French Resistance during the Second World War, the violence of the United Irishmen, the violence of those who lie buried in Flanders Field. You ask what my point is, Virginia? It is that I very much like the consistency of the Quakers, who reject violence regardless of the circumstances. The same cannot be said of any of the politicians in Stormont – or in the Dáil, for that matter. 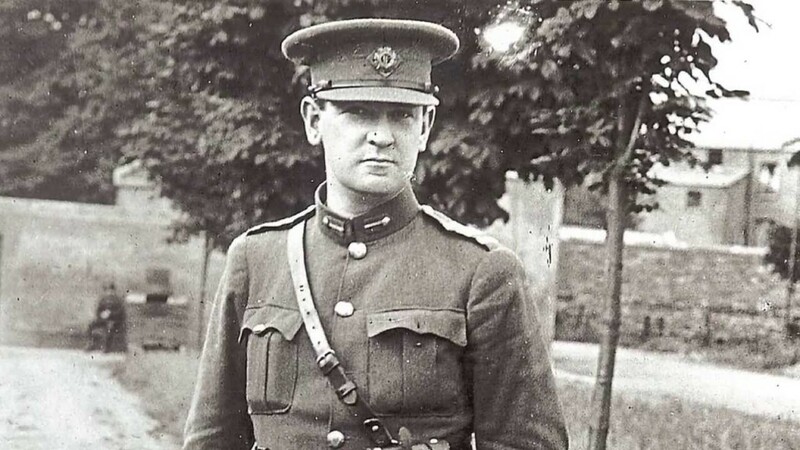 Does An Taoiseach and Fine Gael hold their noses at the violence of Michael Collins? I think not – there’s a massive oil-painting of that man of violence in the office of Enda Kenny. Ditto Fianna Fáil and Cathal Brugha and Tom Barry and Kevin Barry. Their violent actions elicit admiration from southern political parties and, it’s fair to conjecture, the SDLP. Let me put it bluntly: given a particular set of circumstances or occasions, all of our public representatives, far from holding their noses, stick out their chests and glory in bloody actions. So as well as following Rev Kyle Paisley’s good advice and not expressing detestation of the violence of the Troubles, we should remember the cherry-picking attitude shown by others towards violence. Know what, Virginia? Sometimes I think Quakers are the only ones who really believe the Christian commandment ‘Thou shalt not kill’. And let me end with a suggestion for the many nose-holders: stop being such a shower of bloody hypocrites. How do you think this state came into being?